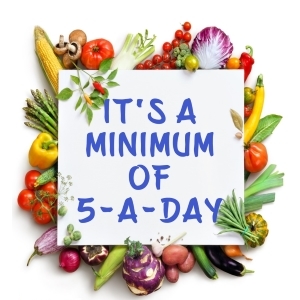 Eating at least five portions of fruit and vegetables can be a daunting prospect but with a little thought you can achieve it (and possibly more) with ease. Here are some simple ideas to help you. Add grated carrot into pizza dough and top with mushrooms, tomatoes, onions and sweetcorn.